- Fully Hardened and Ground Punch Point. - Heavy Knurled Body for definite grip and easy handling. - No Hammer is required for operating punch. - Force of Impact can be regulated by rotating top Knurled cap. We have gained recognition as an eminent enterprise, devotedly engaged in manufacturing and supplying a broad range of Profile Punches. We offer quality range of Swaging Punches, these Swaging Punches are widely used in various industries and are appreciated by the clients due to their quality and rock bottom prices. SEAL PUNCH for sealing the lead seals. Its customised letters in both upper and lower parts. 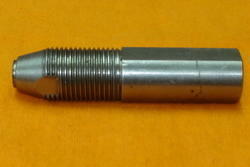 Seal punch general size is 8" with round die. But we can make the seal punch as per your requirments. Seal punch is also used in SEZ for excise purposes for sealing the cartoons. 4x4mm, 6x6mm, 8x8mm, 10x10mm, 12x12mm, 14x14mm and. 16x16 mm. 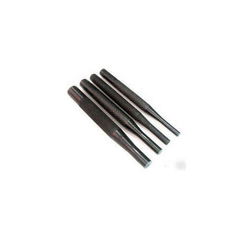 We are one of the most reliable companies in this domain and are into offering Shear Punch Tool.